Brewers baseball season has officially started! 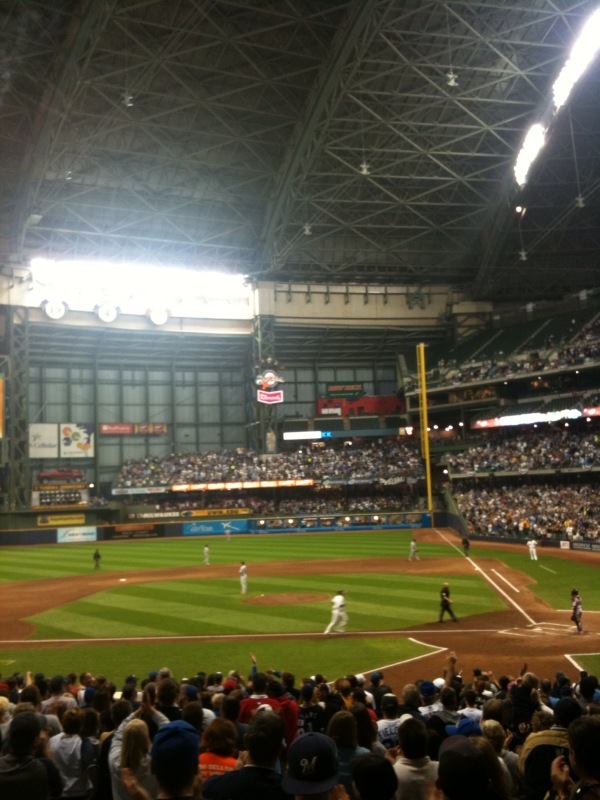 As we speak, the Milwaukee Brewers are playing their home opener at Miller Park. Speaking of Miller Park, this season marks the park's 10th anniversary. To celebrate, Miller Park received a brand new scoreboard. From what I've seen in pictures, it looks like a huge upgrade. Don't take my word for it though, see for yourself! 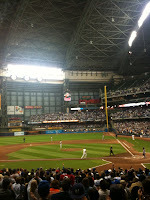 Get yourself some Milwaukee Brewers tickets for this weekend's Milwaukee Brewers vs. Chicago Cubs series. Brewers/Cubs series are always a great time because of the huge rivalry between the two teams and the fact that lots of Cubs fans make the trek up to Milwaukee from Chicago. The Milwaukee Brewers are going to need your support this weekend against the Chicago Cubs. We don't want our house to be overrun by Chicago Cubs fans!